Depression is a lot more complicated than the common myth of it being purely something that happens in the mind. In fact it has a lot to do with our entire body functions, and one of the best ways to make it function properly is by doing cardiovascular exercise. 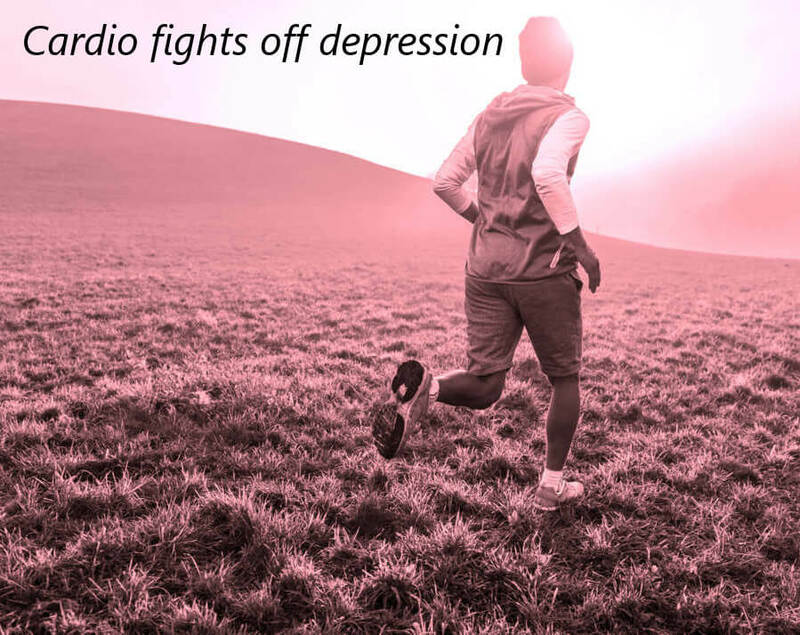 In fact cardio exercise has been clincically proven to work just as well as prescription drugs in alleviating and fighting off depression! To better understand why this may be the case, it is important to keep in mind that your brain, thoughts, and overall physical body are all interlinked together so that if you improve one area, you improve the others. Another benefit of cardio is improved sleep, which also impacts the level of depression that one feels. So if you are feeling down, or are going through some rough times in your life, one way to help turn that around is by breaking a sweat and exercising!